Established in 2001, this 3,000-square-foot gallery exhibits contemporary work by artists living in the U.S. and abroad. Find paintings, sculptures and photography with an emphasis on beauty, technology and culture. 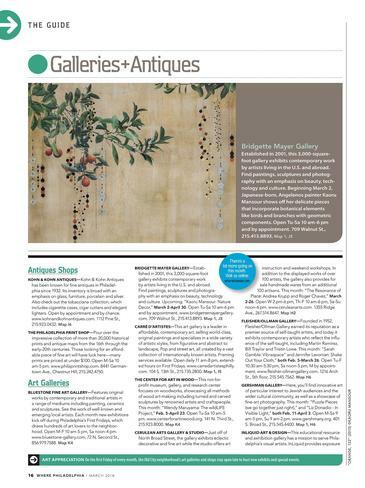 Upcoming: "Kaoru Mansour: Nature Decor," March 2-April 30. Open Tu-Sa 10 am-6 pm and by appointment.